We came home I did the laundry, ironed some pants, fixed a salad for lunch and watched Gone with the Wynn's on You Tube. I've been anxiously awaiting their posts as they are on their Pacific Crossing - only their videos are two to three weeks behind. I keep up with all my favorites on the Marine Traffic map just to see where they really are. Sometimes you just want to peek ahead and know they made it safely across, lol. Despite my efforts at wanting to get some things accomplished for our future, I really do love our life. These episodes give me such joy b/c I have moments of travel without ever having to go anywhere. Then I set into cooking up a pork stew. We had decided on the way from church that I would fix up a soup. I was trying to use up things in the freezer in prep for room for our 1/4 of a cow coming in November. George said that he thought we only had fajita meat. So, I just bought some pork shoulder and cut it up and made soup anyway. Everything else would take too long to thaw and I wasn't in the mood for Mexican. It tastes so good. It's really good for a cold winter's day but it's also good on any day. Even Chef George complimented the dish and I don't get much compliments on my cooking. So Chef John is the real winner. It's his recipe. Instead of pouring onto mashed potatoes, I put some little potatoes (halved) into the stew. Some of them were purple potatoes and that was really good in there. George went out and cut some fresh parsley. I cooked some in and then we garnished on top. Here is the final result. It was great. I'm cleansing today so I don't get seconds yet. We watched "Nurse Betty" while we ate. I never get everything done unless it's a 3 day weekend as there is never enough balance. After reading in Ecclesiastes which I strangely thought would be an encourager - makes me feel like everything is just folly and not important. It certainly gives you perspective on things anyway. I mean we are all just really chasing after the sun right? So I've decided to stop and enjoy life and not push myself so hard. I have pushed myself in some weeks recently in that I was miserable and moody and frustrated b/c I could not get done what I wanted. I struggle with control and I know that I will always struggle with that. I am a planner and will always be. I have to plan what I want to do or I'm so laid back about it that it will not get done. So lists have been the secret to my success where there has been any - so that I can get the planning done in my head so I can lay the tracks. So I felt bad that I didn't get any tracks laid for the week, but I did this morning. Somewhat. So today I will be following up with some folks as promised. I will also be getting with the vendors for the Fall Sip and Shop and make sure they are on board. I will also do a power hour tonight when I get home. I've given my first Value Pak Customer what they need so far. Then I will watch KYD (Keep your Daydream). So it's all doable, sortof. 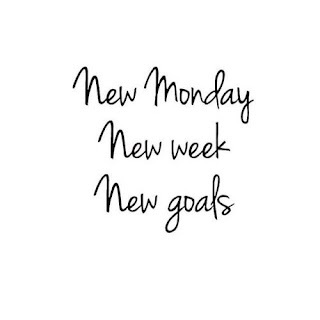 Thankfully it is a new week and it's filled with possibilities. We can do what we didn't finish last week and start some new projects too. Life goes by so fast we just have to make the most of each day as it comes. Your stew looks wonderful and I have some pork in the freezer that should get used up so I'm going to check out that recipe. The season for stews and soups is coming and I love them, especially since I've not had them for awhile. Here's to a new week when anything is possible. Hope your Monday is a good one ! the stew looks good. it's nice you got compliments for your efforts.